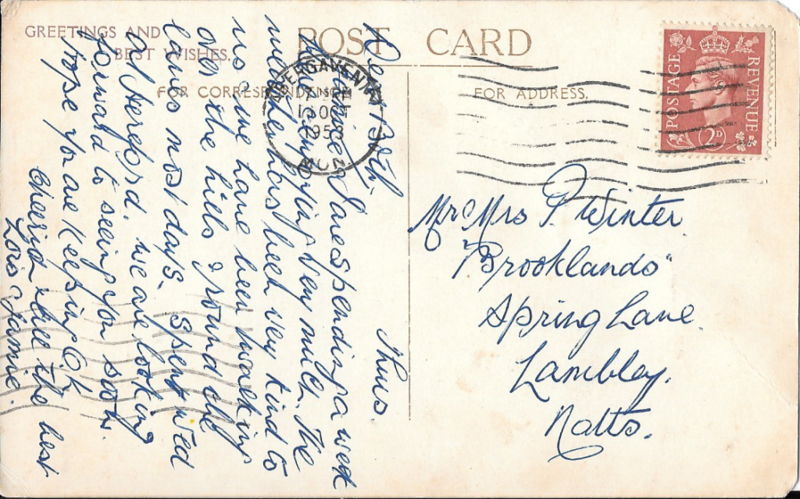 This postcard’s postmark is 16th October 1953. 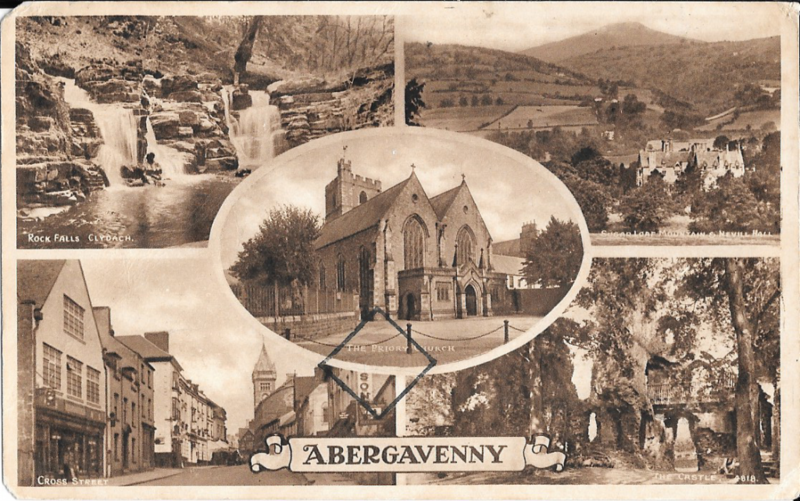 It offers 5 views of Abergavenny, as in 1953. In the top left, “Rock Falls, Clydach” and in the top right, “Sugar Loaf Mountain & Nevill Hall”. In the centre is “The Priory Church”, in the bottom left, “Cross Street” and the bottom right, “The Castle”. The church and Cross Street look much the same, with some clear differences, but the most striking has to be Nevill Hall before the development. Jamie and Jane spending a week here enjoying very much. The weather has been very kind to us and we have been walking over the hills and around the lanes most days. 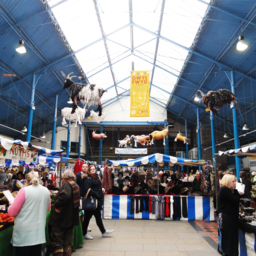 Spent Wed at Hereford. We are looking forward to seeing you soon. Hope you are keeping ok.
From the back, it looks as those it was sent by a couple just visiting the area for a short time and it sounds as though they enjoyed exploring the countryside. For slightly larger images, you can click on them, higher resolution scans are available on request.